Within the white washed villages of Portugal’s Alentejo, hills lazily unfold among oak trees and corn fields. This area is long known for wine & olive oil production. At the center, Herdade do Esporão, is expert at both. Their velvety DOP Maura Olive Oil is successfully made to boast strong notes of grass, green leaves & flavors of almond, all while keeping production flow in sync with the environment, choosing organic, conserving water and encouraging connectedness with their local habitat & wildlife. 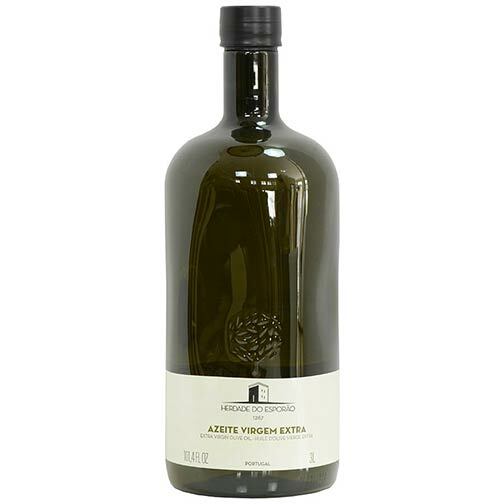 One of our favorite EVOO’s, now available in economical 3 liter bottles!